Includes FT-100 acoustic guitar plus gigbag, strap, tuner, and online eMedia lessons! The Epiphone FT-100 Player Pack includes everything you need to play guitar including an FT-100 acoustic guitar in beautiful Ebony, Natural, and Vintage Sunburst finishes. The Player Pack includes gigbag, strap, picks, clip on/headstock chromatic tuner, and free online lessons from eMedia in English, Spanish, French, and German. The Epiphone FT-100 acoustic is a classic dreadnought style guitar with full, expressive tone thanks to its Select Spruce top, Select Mahogany sides, and solid Mahogany neck. 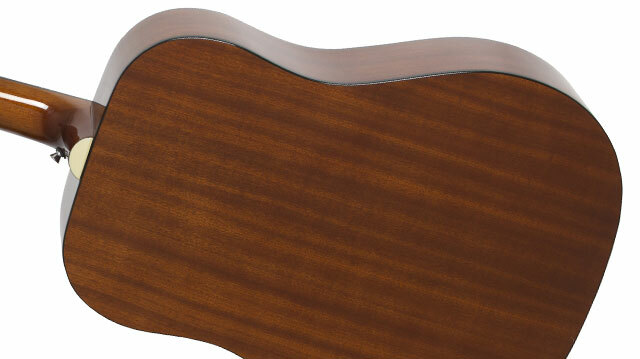 The neck is glued to the body with a traditional dovetail joint and has an easy-to-play 1960s SlimTaper profile. The smooth Torrefied Composite fretboard has “Dot” inlays, a standard 25.5” scale, a 60s era Epiphone “dovewing” style headstock, and a 2-way adjustable truss rod for perfect intonation. The FT-100 Player Pack is available in Natural, Ebony, and Vintage Sunburst. 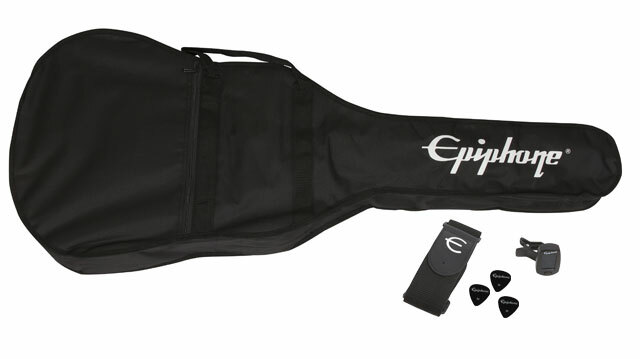 All Epiphone FT-100 Player Packs includes a gigbag, strap, picks, and clip/on headstock chromatic tuner. New to guitar? No problem! The FT-100 Player Pack also includes free online lessons from eMedia available in English, Spanish, French, and German. 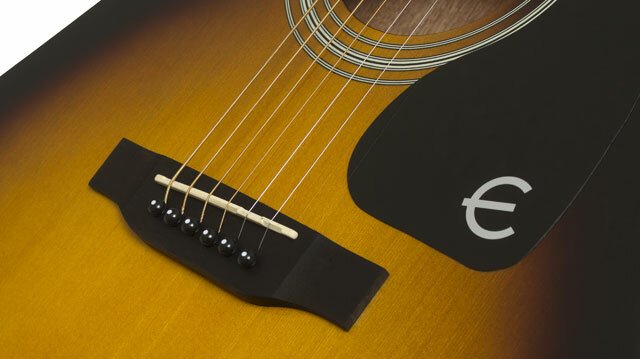 Every Epiphone comes with a Limited Lifetime Warranty and 365/24/7 Gibson Customer Service. Visit your Authorized Epiphone Dealer today!